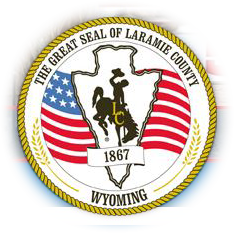 Wyoming Statute 39–13–103. "(b)(ii)Property valued at fair market value. All property shall be annually valued at its fair market value. Except as otherwise provided by law for specific property, the department (Department of Revenue) shall prescribe by rule and regulation the appraisal methods and systems for determining market value using generally accepted appraisal standards." Identification of Businesses: Commercial and industrial operations are identified through various means such as sales tax lists, telephone books, advertisements, observations or word of mouth. New businesses are added to a historical listing of businesses in the Computer Assisted Mass Appraisal (CAMA) sub-system developed by the state. The information contained in this file is used to generate letters and forms sent to the businesses each year requesting updated reports/renditions of personal property. The timetable for the mailing of the forms is in late November of each year and they must be completed and returned by the following March 1st. All property owners subject to taxation will be notified in March of each year with the mailing of Assessment Schedules. These schedules will have the estimated market value and assessed value of the property reported and as with all assessments must be appealed within 30 days of the mail date if the owner objects to the value.